Today we launched one of our most requested features: the ability to create a comment associated with specific text within a note. We call these highlight comments. We've worked hard to make this as elegant of an experience as the rest of Notejoy. As part of this release, we are also introducing archived comments to enable you to archive a comment you've dealt with. This will ensure the comment's associated text is no longer highlighted within the editor as well as hide the comment within Chatter. To archive a comment, hover over the comment in Chatter, click the dots, and press Archive. 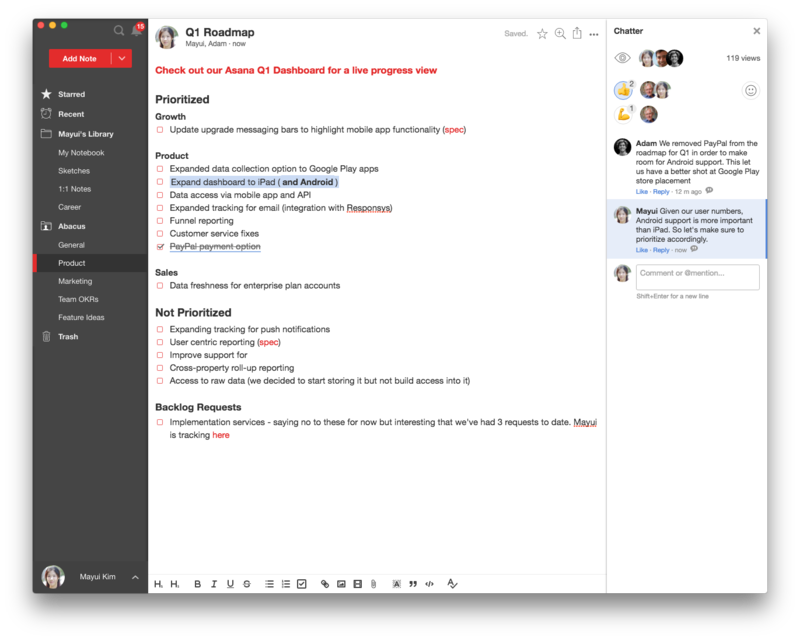 Keep your feedback coming as we're eager to make Notejoy the most productive way to collaborate with your team!